Negative childhood experiences in physical education (PE) classes may have long-term effects on adult physical activity, a study suggests. Researchers conducted an online survey of more than 1,000 adults, ages 18 to 45, across 46 states about their best and worst memories of their PE experiences, as well as their attitude about physical activity now. The 392 male and 636 female respondents were recruited by an internet service for monetary compensation. "Memories of enjoyment of PE … were the most substantial correlates of present-day attitudes and intentions for physical activity," the investigators report in the Translational Journal of the American College of Sports Medicine. For example, they found, rarely being chosen first for team sports in gym class was "strongly related to the amount of time spent sitting on weekdays and on the weekend" in adulthood. The next most frequent "worst memory" theme was lack of enjoyment in PE activities, reported by 18 per cent. People's best memories of PE class included receiving positive recognition from peers or teachers regarding their performance. "The most surprising thing about our research was the vividness of [memories and the] emotional impact. This tells us these were transformative experiences," senior author Panteleimon Ekkekakis of Iowa State University in Ames told Reuters Health by phone. People's gym-class memories "had some degree of influence on their self-perception and … the degree of their sedentariness," said Ekkekakis. However, he stressed, the association was only "modest at best." "We're not saying the experiences are deterministic and that one negative experience is going to determine a person's physical activity level for the rest of their life," he said. Christopher Hersl, vice president of programs and professional development at the Society of Health and Physical Educators (SHAPE America), who was not involved in the study, told Reuters Health by phone, "Our number one goal is to turn out children that are healthy, happy and productive. If our instructional practices are causing any of these things not to happen then we need to reconsider our practices." Carolyn Buenaflor, associate director of Cedars Sinai Healthy Habits, a community benefit program that partners with school districts within Los Angeles to provide nutrition education and physical activity programs, told Reuters Health by phone that children today might not have the same PE experiences as their parents did. Buenaflor said many of the elimination games children and adolescents used to play in gym class have been replaced with non-elimination games. PE classes also play more group games than sports games where one student at a time shined or did not. 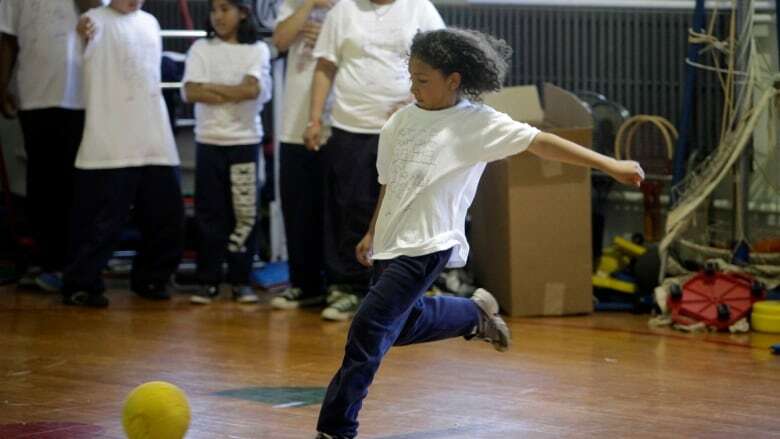 "Getting in front of the class and kicking the ball is not the best thing to foster enjoyment and physical exercise," said Buenaflor, who was not involved in the research. People's recollections of past experiences may not be accurate, the authors acknowledge. And this kind of study can't prove that early experiences affected later attitudes. Still, they point out, "If improvements in PE experiences could inspire even small increases in [physical activity], millions could derive additional health benefits." It seems clear, they conclude, "that decades-old arguments concerning the focus on sport in PE programs and … fitness testing should be revisited. [With further research] it may be possible to transform PE into a professional field that closely adheres to the [evidence and] … that welcomes psychological best practices for the benefit of children and public health."